The Children's Garden is a Steiner Waldorf Kindergarten for children aged 3 to under 7. We have been established since 1998 and are based in the beautiful Grove Gardens Chapel surrounded by mature trees and backing onto Richmond Park. The kindergarten is open term time only Mondays to Fridays from 9.30am to 1.30pm. Our kindergarten consists of one group of up to 20 children of mixed ages and is led by a specially trained Steiner kindergarten teacher and two teachings assistants. It is recognised by the Steiner Waldorf Schools Fellowship and registered with Ofsted and The Early Years Partnership of Richmond Borough. Our kindergarten also offers a weekly parent and child group for children from birth to 3 and their carers. We qualify for the Early Education Funding for 3 and 4-year olds and also accept payment via childcare voucher schemes. 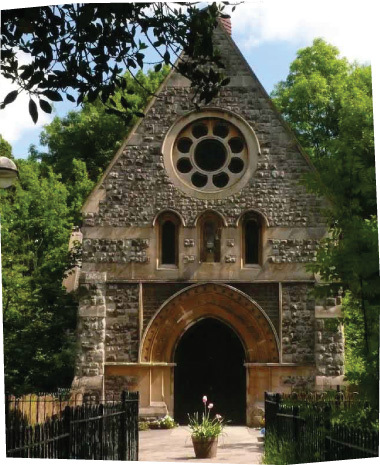 Grove Gardens Chapel is in Richmond Old Cemetery. There is another very similar looking building at the entrance to this Cemetery, this is a private dwelling. If you drive a little further down Lower Grove Road you will see a Green. The Chapel is set back from the Green and you will see a path across the Green leading to it. From Richmond/Kingston. Bus stop Park Road on Queens Road. Walk up Greville Road, turn right, then left onto the path over the green.